A supermoon happens when a full moon happens to coincide with a lunar perigee (When the moon’s orbit is closest to the Earth). 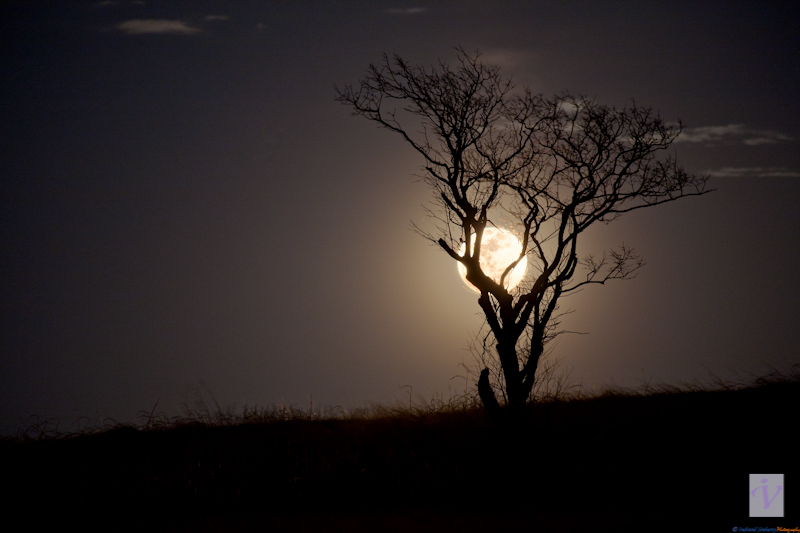 The full moon on 19th March 2011 was the closest it has been to Earth in 18 years, according to Space Weather. To plan my shot I used The Photographer’s Ephemeris to find out the approximate direction and time of the moon rise. Then, me and my wife went to the lake to find an appropriate foreground for this special event. After considering few potential locations, we finally settled for this tree as I could visualize a similar photo as the above in my mind. We had almost given up hope when the time for the moonrise came and went. However, as an act of desperation I ran up the hill and saw the “glow” just above the horizon and I knew I had to run back to the camera as the moon was approaching. We made about nine to ten photographs of the moon — with the moon by the side of the tree and with the moon behind the tree. In the end, both of us liked this photograph more than the others. I’m with Joe… absolutely gorgeous. And thank you so much for letting us know about The Photographer’s Ephemeris. I’m not sure if my cellphone has a compatible operating system but I’ll certainly be looking into it!